I'm probably a little behind on this. 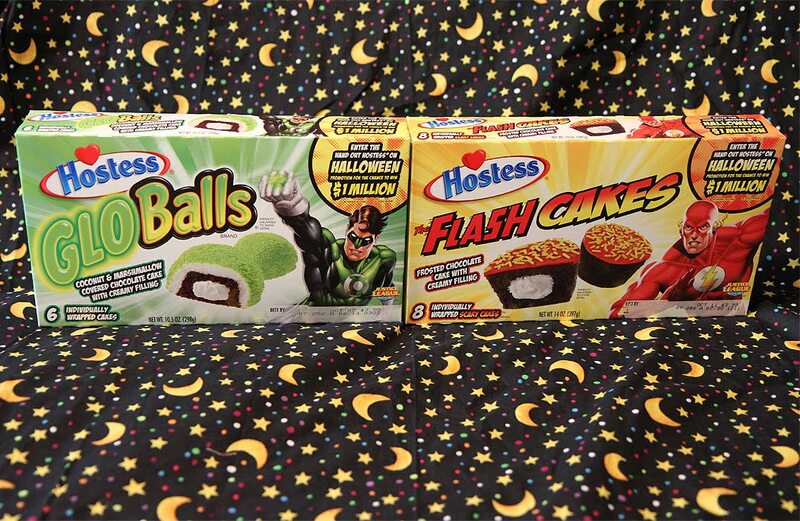 Recently the internet welcomed the arrival of Hostess Green Lantern GloBalls and Flash Cakes. As soon as I heard about them my only mission in life was to obtain them. 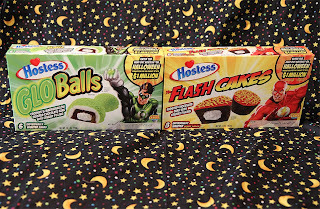 Reminiscent of the Hulk Cakes from a few years ago, these dessert treats apparently tie in with the release of Superman/Batman: Apocalypse. 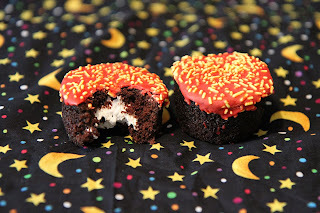 How exactly do Green Lantern & Flash tasty treats tie in with that particular DVD? Who knows and who cares? I'm just happy to finally have some super hero food that features someone other than Supes, Bats or Spidey on it. 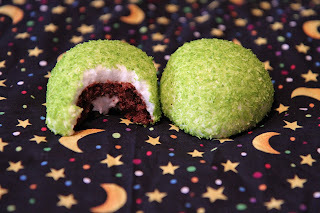 As you probably guessed, Green Lanter GloBalls are remarkably similar to the regular Hostess Snoballs: a marshmallow coating covering a cream filled chocolate cake. Except that these are green! Just like the green constructs that Green Lantern creates in order to fight evil. Awesome! 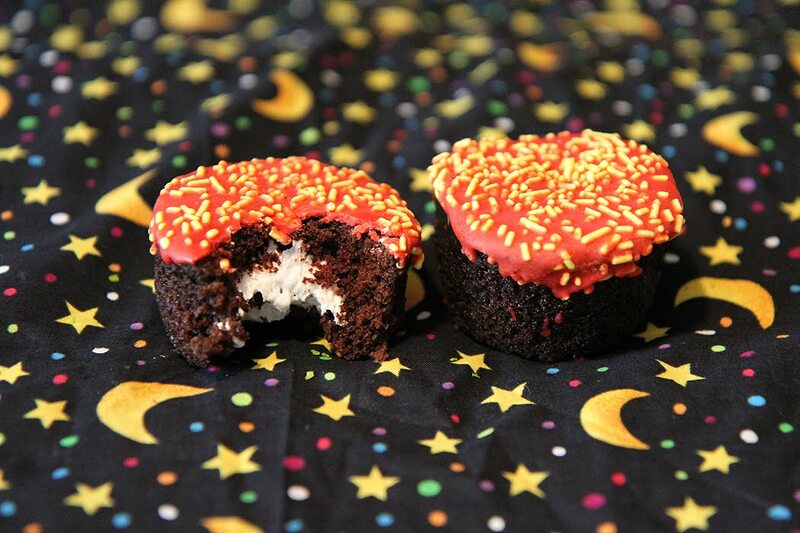 So, here we have modified chocolate cupcakes with red icing and yellow sprinkles. That's more than enough justification for me. So there you have it. I like to think of this as a giant step forward for second string characters who hope to break into the grocery store genre. If all goes well, hopefully, we will soon see Aquaman Canned Tuna, Plastic Man Pretzels and Booster Gold Potted Meat Food Product. And that would be a beautiful thing.